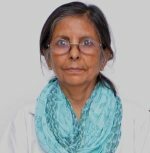 Dr. Madhuri Behari has over 34 years of experience in the field of Neurology, from AIIMS. Dr. Behari developed state of art comprehensive movement disorders specialty with facility for botulinum toxin therapy and Deep Brain stimulation for Parkinson’s disease and dystonia patients. Dr. Madhuri Behari is one of the top neurologist who has been working in this field for 34 years. Recipient of Woman Bio-scientist award by Government of India, Award for Innovation in Science from Department of Biotechnology by Government of India. Dr. Madhuri Behari did her MBBS and MD from Lady Hardinge Medical College. Dr Behari did her specialization in Neurology from AIIMS New Delhi.